Fiveways’ evaluation of the National Bereavement Care Pathway (NBCP) was published this week, as part of Baby Loss Awareness Week 2018. The NBCP aims to improve the bereavement care parents receive after pregnancy or baby loss, by helping professionals to support families. 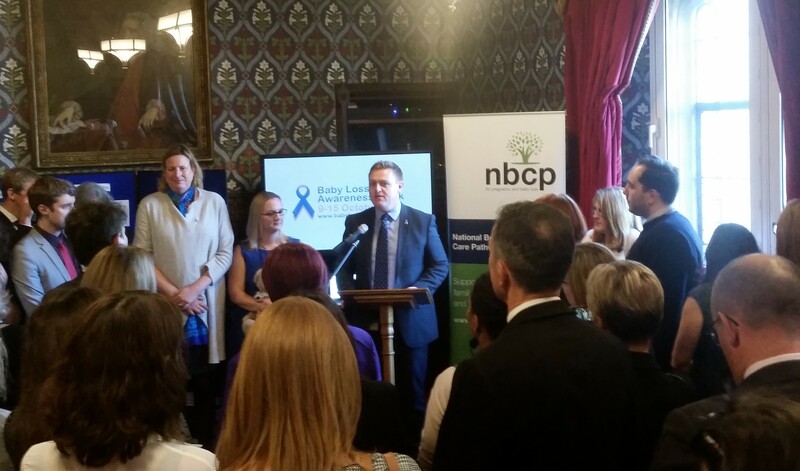 It is backed by the government, supported by the All-Party Parliamentary Group on Baby Loss and championed by health ministers. We were commissioned last year to evaluate the first wave of implementation, and this week has seen the culmination of the work with the findings of the evaluation central to a reception held in Parliament today, and a discussion in the House of Commons on Tuesday. The findings of the evaluation are positive: 95% of parents who completed our survey agreed that the hospital was a caring and supportive environment, 98% agreed that they were treated with respect, and 77% of health professionals who were aware of the pathway agreed that, overall, bereavement care has improved in their trust during the period of the pilot (and none disagreed). This was a perfect project for Fiveways as it fitted with our purpose – to increase impact and drive future improvement – and related to a subject that couldn’t matter more. The evaluation can be downloaded from the National Bereavement Care Pathway website.